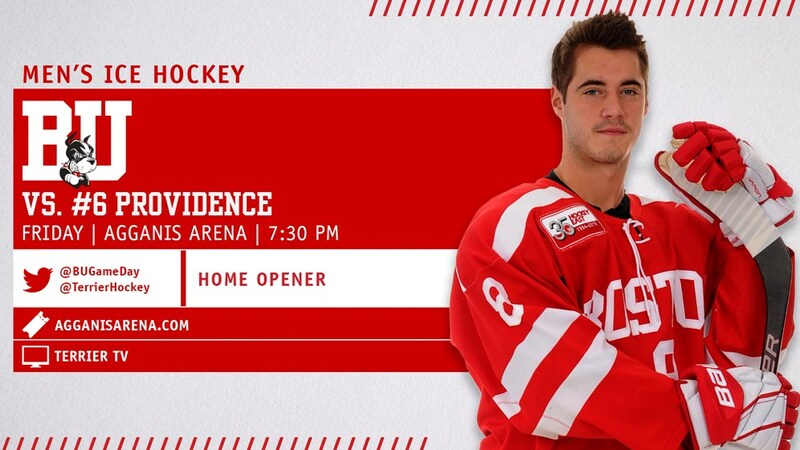 Terriers’ home opener tonight matches them against #6 Providence in a 7:30 p.m. start, which will feature the raising of BU’s new Hockey East title banner prior to puck drop. 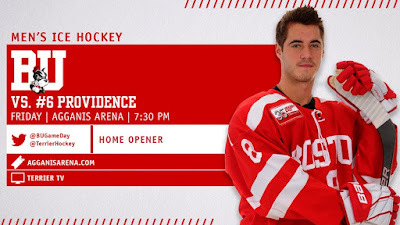 BU (0-3-0) and Providence (3-1-1) last met in the 2018 Hockey East Championship game, with the Terriers claiming the contest, 2-0, behind goals from Drew Melanson and current co-captain Bobo Carpenter and a 30-save performance by Jake Oettinger. The teams played three times in the regular season with each winning once and one tie. The Friars offense is led by senior Scott Conway and freshman Jack Dugan with five points each, and junior defenseman Jacob Bryson with four points. Senior goalie Hayden Hawkey has a 1.51 GAA in four starts. After being shut out by Merrimack last Saturday, BU is averaging only two goals a game against NCAA competition. Carpenter, with a pair in the series against Minnesota State, is the leading goal scorer, while sophomore David Farrance has four assists. O'Connell has indicated that junior defenseman Chad Krys "should be available" tonight after missing the previous three games with an injury. 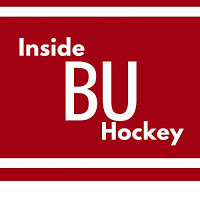 Episode 3 of Inside BU Hockey features Bernie Corbett’s interview with Head Coach Albie O’Connell, junior co-captain Dante Fabbro and Providence Journal reporter Mark Divver. Fabbro, who was a member of Canada’s 2018 World Junior Championships gold-medal team, earned 2017-18 All-New England and Hockey East Second Team All-Star honors and was second among conference defensemen in points. Divver covers the Friars and the AHL Providence Bruins. On the day Alex Chiasson received his Stanley Cup ring (video) as a member of the 2017-18 Capitals, he scored a goal—his third in two games—against his former team in the Oilers’ 4-1 win. A two-time winner of BU’s Ed Carpenter Award for most points in a season, Chiasson became the ninth Terrier to have his name on the Stanley Cup as a player or coach. Clayton Keller’s fourth goal of the season was the game-winner in the Coyotes’ 4-1 victory against Vancouver. Eric Gryba made his New Jersey Devils debut last night in a 4-3 overtime loss to Nick Bonino and the Nashville Predators.